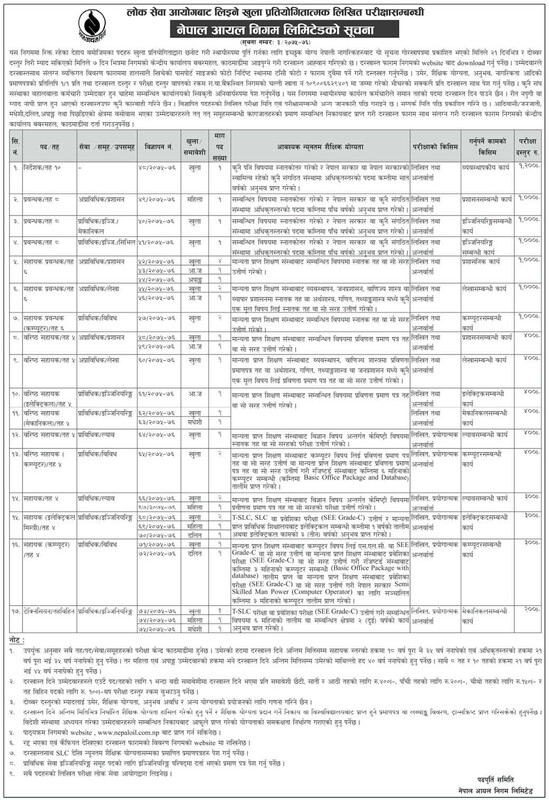 Nepal Oil Corporation (NOC) in Nepali Nepal Aayal Nigam published a notice about vacancies on various posts. Below find out Nepal Oil Corporation Vacancy Notice for Various Posts in details. The application must Submit before 2075 Kartik 9 without double fee and plus 7 days with the double fee. The written exam will be held by Lok Sewa Aayog and all details about the written exam will be published later. Check Nepal Oil Corporation (NOC) Vacancy Notice below.